A.L. Davroe: Kick it into gear! 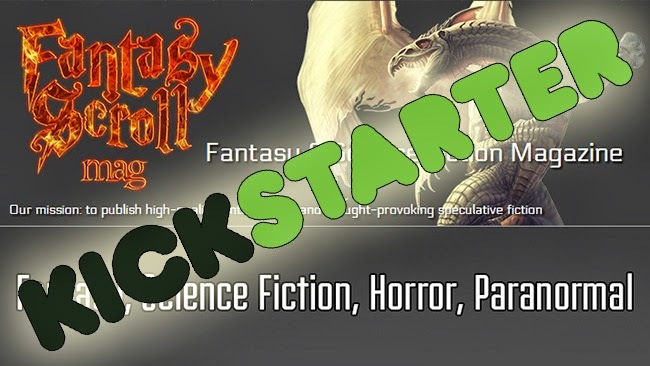 New Short Fiction Market Kickstarter Launch – Fantasy Scroll Magazine publishes science fiction, fantasy, horror, and paranormal short stories, with one mission in mind: to provide high quality, entertaining, and thought-provoking speculative fiction. Currently, the magazine is running a Kickstarter campaign designed to help with the initial start-up, its main goal being to pay writers what they deserve. To contribute, spread the word, or learn more about the campaign, please visit: http://kck.st/1pp8ZVh.